I bought this audiobook from Audible.com. Boy-oh-boy do I love me some Mike Resnick space bounty hunter goodness and this one does not disappoint. 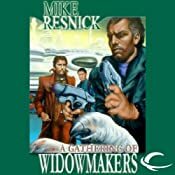 It is the fourth book in the Widowmaker trilogy, which is kind of stretching the bounds of the meaning of trilogy, but it has happened before and will again. This audio book was created as a part of the Audible Frontiers program and I want to thank them from the depths of my geeky little sci-fi loving heart for creating such great productions. The narrator Stefan Rudnicki voice requires me to turn the bass down on my car stereo so that I can clearly hear him, but his acting abilities are wonderful creating real depth and breadth to the characters that he portrays. There is only one thing that Jefferson Nighthawk, the original Widowmaker, really wanted to do, and that was retire on a far-away planet and raise a garden. There were still two clones of him to keep the peace and carry on his legend. Unfortunately for him, his two clones have come to a disagreement. When a widowmaker takes on a widowmaker, everyone runs for cover. There is only one man who can stand up to the clones of the Widowmaker… the Widowmaker himself. ©2006 Mike Resnick (P)2010 Audible, Inc. I rate this book a 9 out of 10 and a must read for all Mike Resnick fans. I read the hard cover version of this book purchased from Amazon.com. The 39th book in the Discworld series of which I have read them all, most of them multiple times, and loved each and every one. 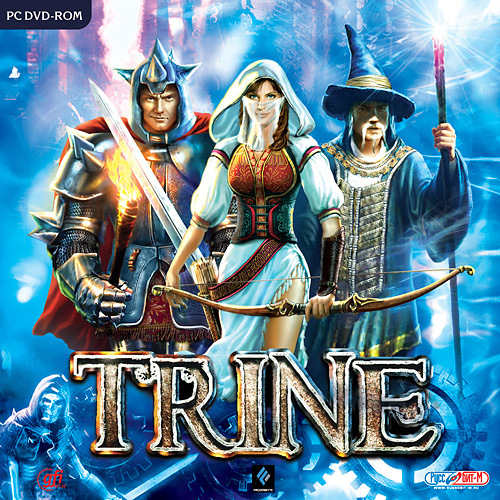 In this novel we follow Commander Vimes on vacation with his wife Lady Sybil in her family’s palatial estate. Goblin’s, river boats, tobacco, drugs, beautiful music, and a heard of others join together to create a great story as seen from Sam’s hard-boiled point of view as a policeman, as a duke, as a husband, as a father, and as a blackboard monitor. The words chosen for the telling of this story bothered me a bit though. 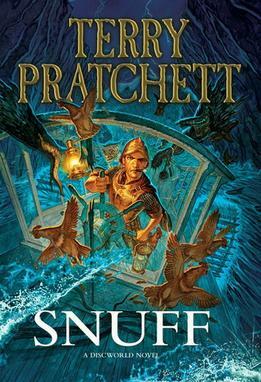 I do not recall any other Discworld novel having so many “four letter words”. The cussing felt unnecessary and out of place. I consciously now choose to ignore that feature of the book and substitute all of the dialog that I felt objectionable with words and phrases that I find to be more in line with the previous novels of Discworld. And so my review is for my own edited version of this book and not as it was delivered to my door. I rate this book a 9 out of 10 and highly recommend it to any fan of Terry Pratchett’s Discworld, but this is not the book to begin with. I recommend Guards, Guards or The Color of Magic as your first. I loved listening to this book. It is a collection of short stories about working in space, on the moon, and what it is like on earth in the far future of the mid 1980’s. With the stories written in the late 1930’s up through the late 1940’s they are very different from most of the current science fiction I read these days. The Green Hills of Earth is a collection of science fiction short stories http://en.wikipedia.org/wiki/Short_story by Robert A. Heinlein published in 1951, although it includes short stories published as early as 1941. The stories are part of Heinlein’s Future History. The title story is the tale of an old space mariner reflecting upon his planet of birth. According to an acknowledgement at the beginning of the book, the phrase “the green hills of Earth” is derived from a C.L. Moore story. I rate this book a 9 out of 10 and recommend it to anyone who loves science fiction and classic stories of space.